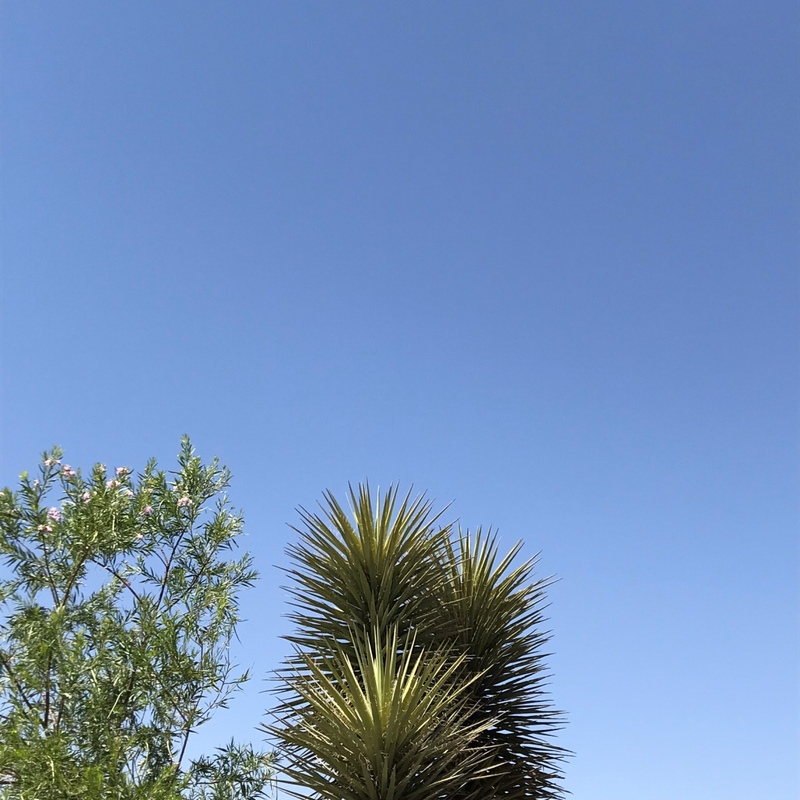 Posted on 06/11/2018 06/11/2018 by Desert Dweller | David C.
It’s just another scene here with natives Chilopsis linearis / Desert Willow and Yucca torreyi / Torrey Yucca. Evocative of place? Namely natural place or ecoregion? How about something else so native, it was already here? Complete with a focal point right in front of my neighborhood volcano, Picacho. 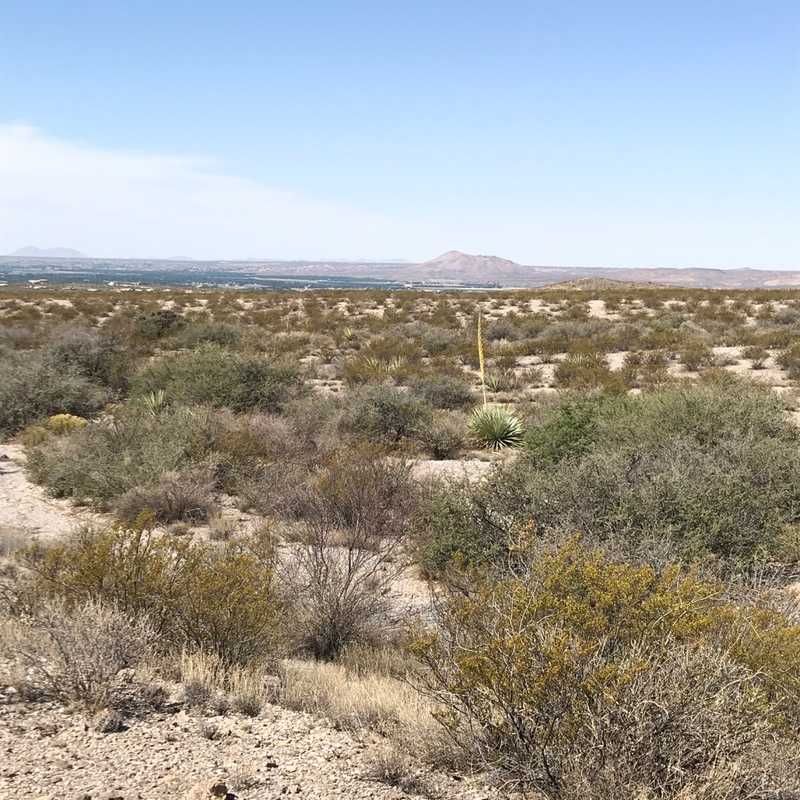 That landscape is typical of the hills east of the Mesilla Valley with sparse desert grasses like Bush Muhly and Fluffgrass, Creosote Bush and Mariola, all cut by arroyos lined with Whitethorn Acacia, Littleleaf Sumac, and Apache Plume. But no matter what, the Dasylirion wheeleri / Blue Sotol with the new flower stalk stands out. Yet it’s in more front yards than I could count. To me, it might never get old. I’m now on the best part of any design, which is the construction observation phase. That’s the fulfillment of intellect, addition, and then reduction. It’s for the future home for a couple who’ve been married many moons, with the request and means for plants and other features nobody else has. This tree, Monterrey Oak / Quercus polymorpha, is not native but is adapted. It’s perfect for the limited oasis area either side of the pool. To the architect and myself, what “nobody else has” required more thought. 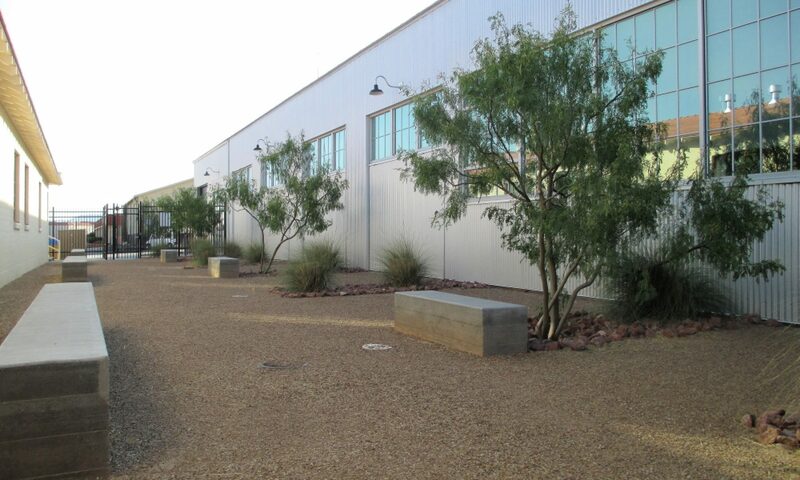 Of course it meant some uncommon plant species, methods, and hardscape. It also meant using the common in an uncommonly purposed manner – even species native to the western bajada of the Franklin Mountains, used well or poorly in many landscapes. Are you glad I didn’t do the trendy misuse of “curate” in the above? 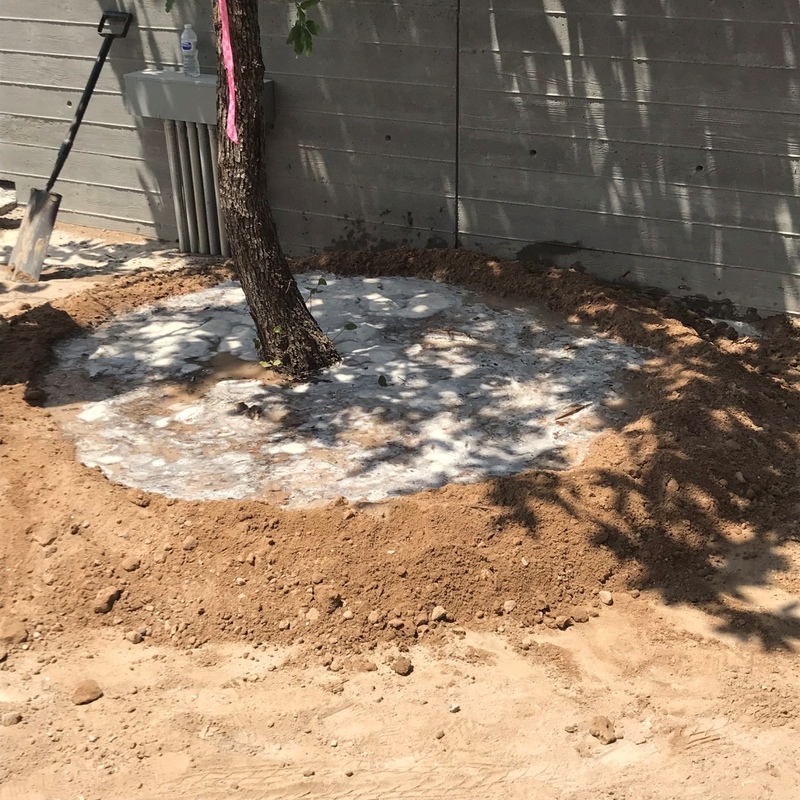 Stay tuned for more on that project, which will now evolve quickly with the specimen trees in. Everyone’s vision is coming together. I’m about to re-pot two poor agaves that have traveled with me since late 2012 in the same now-undersized terracotta pots! Though it’s too warm outside for that right now. So, I’ll begin sketching visions for my own house. 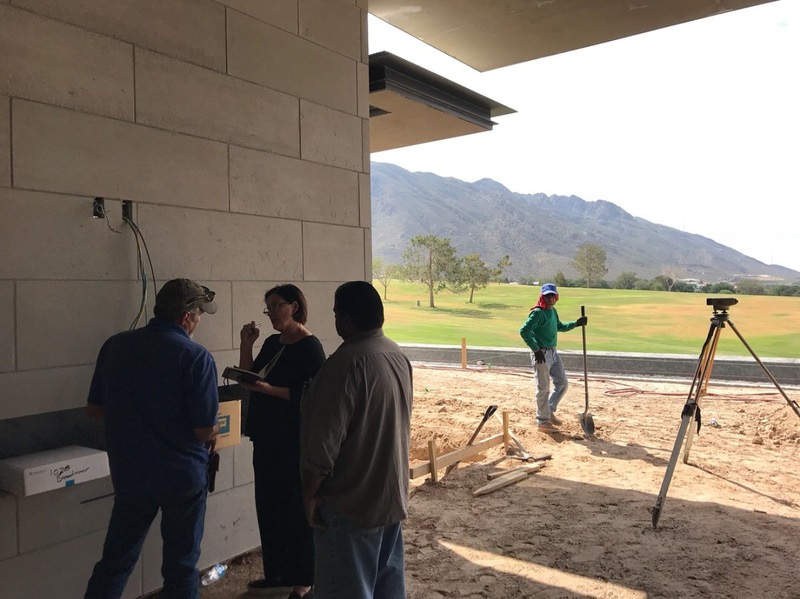 But first, some notes for a suburban home along an arroyo here in Las Cruces and another upcoming, mountainside residence in El Paso. And a proposal for the first, though I know it’s Sunday. And a margarita before I grill up dinner. Wow, that is a heckof a project. Impressive! What I thought of seeing your post were the glorious native Live Oaks everywhere in the Austin TX area–never ever got tired of them! It should be interesting, as what the design needed to be never clicked until our final revision. Yes to their oaks, just elegant and enduring. Your name to comment is hilarious…I’ll need to post the occasional Washingtonia carnage from here!! Rolling lawns on a golf estate? How do you bridge that difference? In a way, the denser groundcover plants and leafy but xeric oaks might. One camp wants a pool patio of artificial turf, while the other real turf. 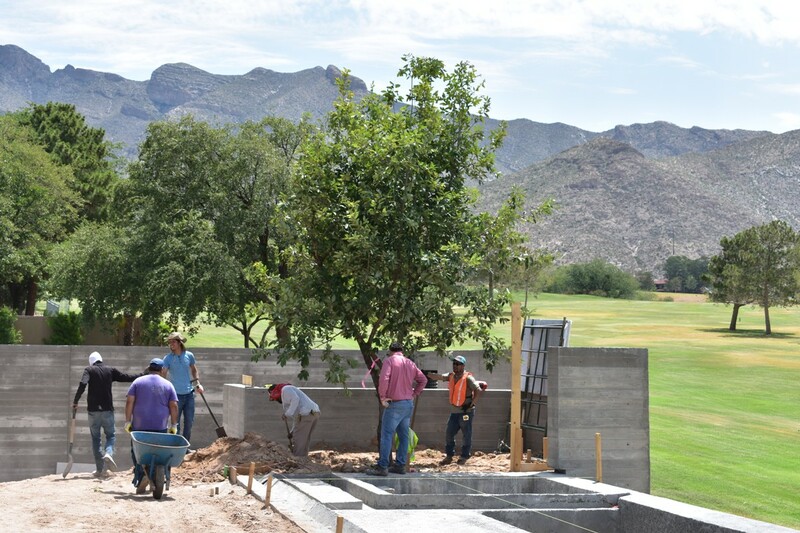 The golf course is irrigated with only reclaimed water, but that type of layout of all lawn is so archaic, compared to target courses with a small percentage of turf and native desert rough areas. It’s a shame the latter is only common in a few areas, including a handful of courses outside Albuquerque, Tucson, and Phoenix. I hear that c word too much. Ditto artisanal, etc. Mangling of English, fashion sense, etc = evil. Adam knows he can casually throw in a ‘gourmet’ or ’boutique’ if he feels inclined to see me gag for his own amusement. These are the ‘curate’ and ‘artisanal’ and ‘bespoke’ of the 80’s and 90’s. I’m glad we’ll get to see more of this plan coming together. It looks awesome already!